Most of the time people want to extend some UI but unable to find the exact path in SDK, Here I will tell you about a simple feature, using this, you can find exact patch of current UI in SDK. Steps to search UI path. thank you for this valuable article – indeed I’m missing the F2 help functionality as known from CRM. I’ve tried with different user accounts and both with the HTML and Silverlight UI. 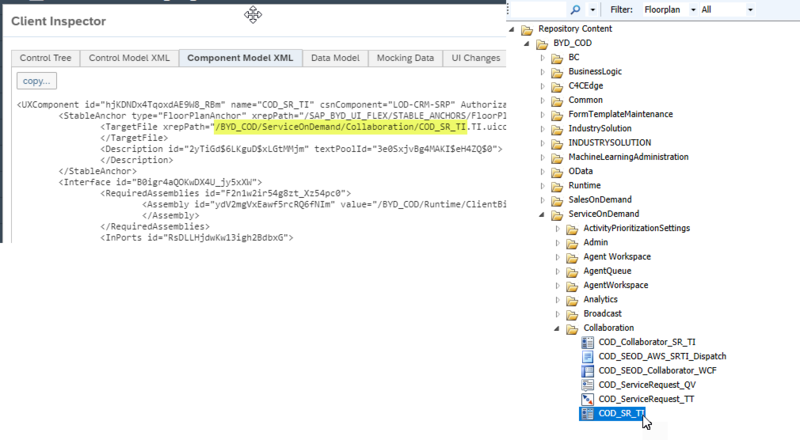 Is this menu item displayed depending on a role or authorisation – what am I missing? Please advise how to enable this menu item. Unfortunately, unable to find why you dont to see such menu, I try to figure it out and let you know waht configuration or any other authorization needed. Only Technical users will be able to view Technical Information and only Partner DEV Tenant system have this feature. Creating the account types Employee and Service Agent is possible via the respective C4C work center, but for Technical and Support User I see only a table (OWL), without the possibility to create a new technical user. And the exact definition of a Technical User is unknown to me, perhaps somebody could point to it? The OWL contains users of communication arrangements – should one really logon to C4C with such a user? Anyway – we’re not using a development, but a test tenant, so this menu item wouldn’t be available. 1. Add the paramter debugMode=true after client.html in your url. 2. Then on any data field on the screen hold CTRL and left click. 3. You should get all the Technical info you need from the screen that opens. excellent, that’s what I was looking for. I do not agree that, this feature is only have available in Partner Dev tenant. I have creted this document based on my test tenant (RoleCode = 7). I have also observed that many test tenant this feature is available. Can you share your incident number. trusting SAP Cloud Support is my only option. Are you able to open this incident? The references are 1000000270 and 3500253911. No, I cant open , but I can discuss with other colleague may help to understand the reason. By default this option is available only to support users and users within SAP. However to enable this in Silverlight client, there is a report available “ES_ACTIVATE_TECHNICAL_INFO”. What is support user here? which work center required to assign to user to be support user. As per the incident(3500253911) by Cristian, SAP has clarify that this feature only available for partner development tenant(role code 08). If you read other comment, few people can seeing but few are not. Anyway thanks for the report, other user can see this feature, why this is restricted? By Support user I meant the user that we use inside SAP to check Customer issues. I am not sure why some people see this,only aware that by default it is not exposed outside SAP and if you want to give the access to a particular user then this report is available. I am able to access this button in Silverlight mode. Is this a new functionality from SAP, or it was there all this while and we were unaware about this. As per my knowledge it was not always here but I guess it was here since last 2 here. Can I expect the same option in ByDesign? For me yes, it works in ByD also, Many people has mentioned that they are seeing Technical Infomation. Usually I always log in with Technical user(SDK user). 1. Add the paramter debugMode=true after ? in your url.